A luxurious and comfortable cottage in a picturesque setting. 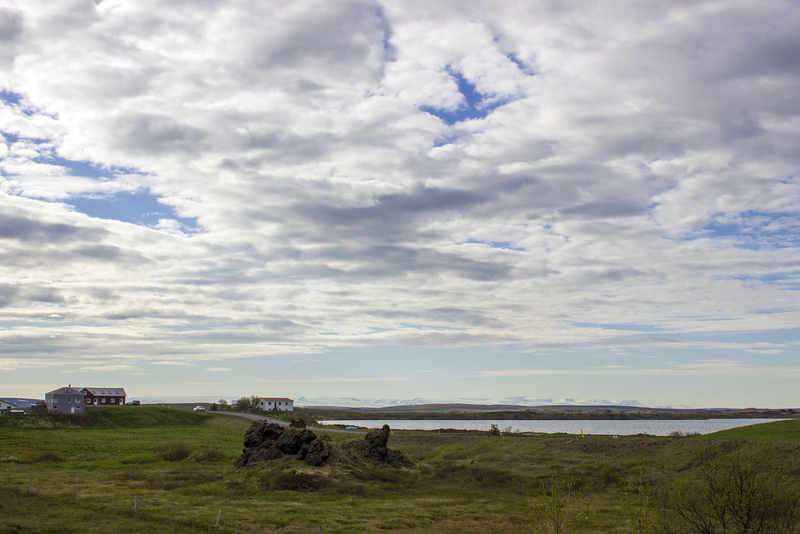 Making our way around the Ring Road of Iceland, we spent two evenings in Myvatn. 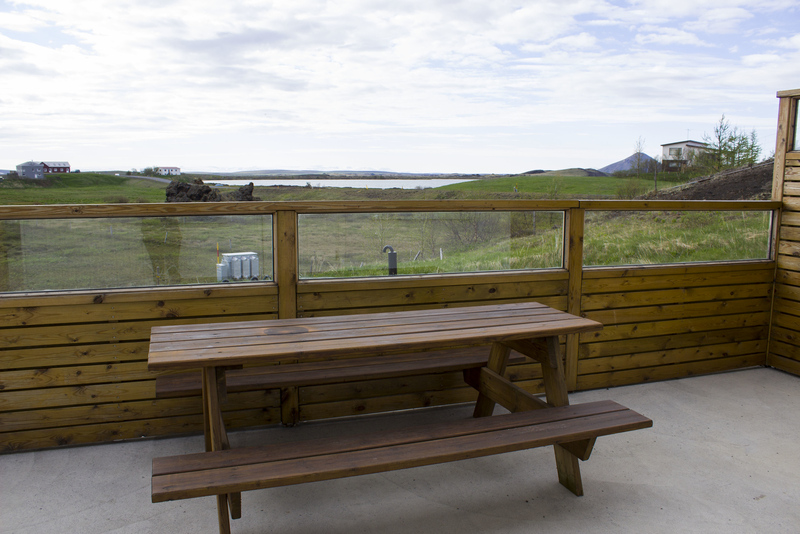 Justin and I stayed at Skutustadir Farm Guesthouse, at the southern end of Lake Myvatn. At this guesthouse, there are various types of lodging for many preferences and budgets. Main Building – There are six rooms available in the main building, for one, two, or three people. 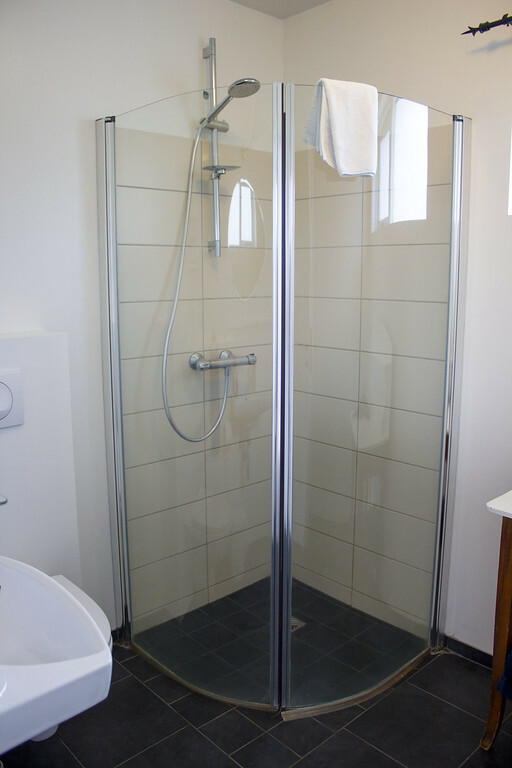 Showers and toilets are separate from the bedrooms, and there is one shared living room. Breakfast is included. 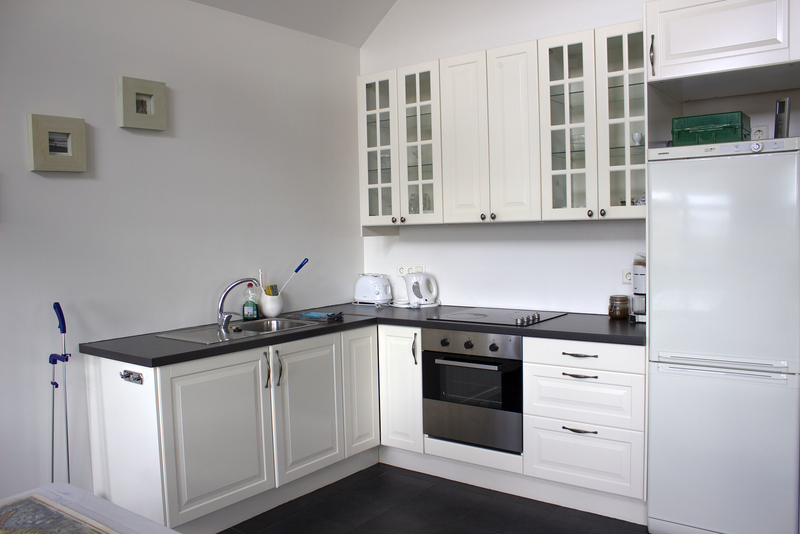 Separate Building – There are five rooms available with an en-suite in a separate building. 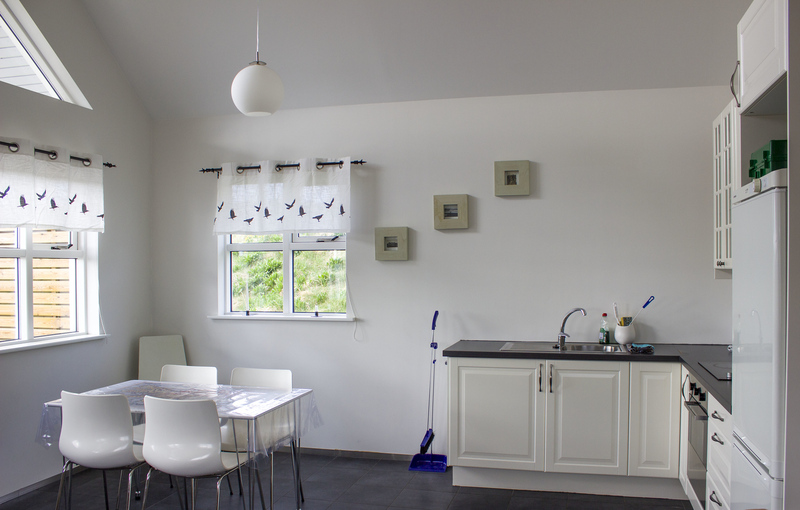 Guests have access to the kitchen and living room in the main building. Breakfast is included. 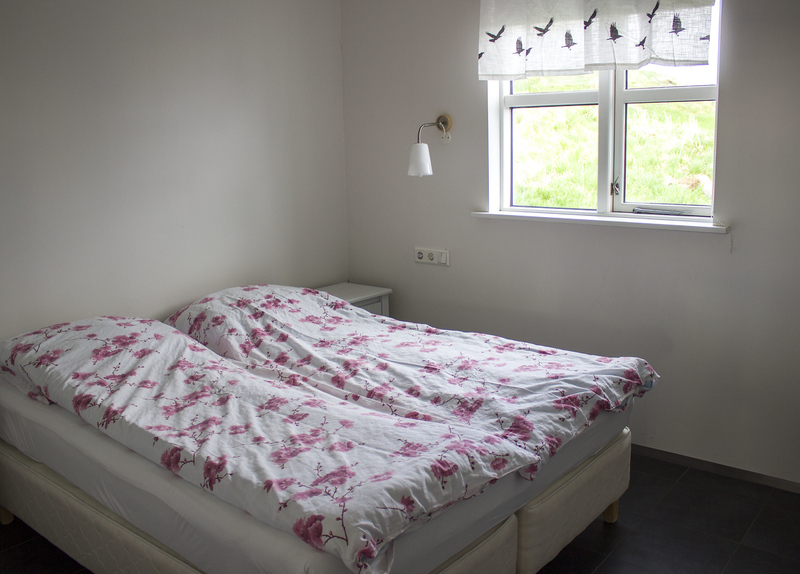 New Building – There are three double rooms with a shared bathroom and one family room. The family room has a room for the parents and a smaller room with bunk beds for children, as well as a private bathroom. 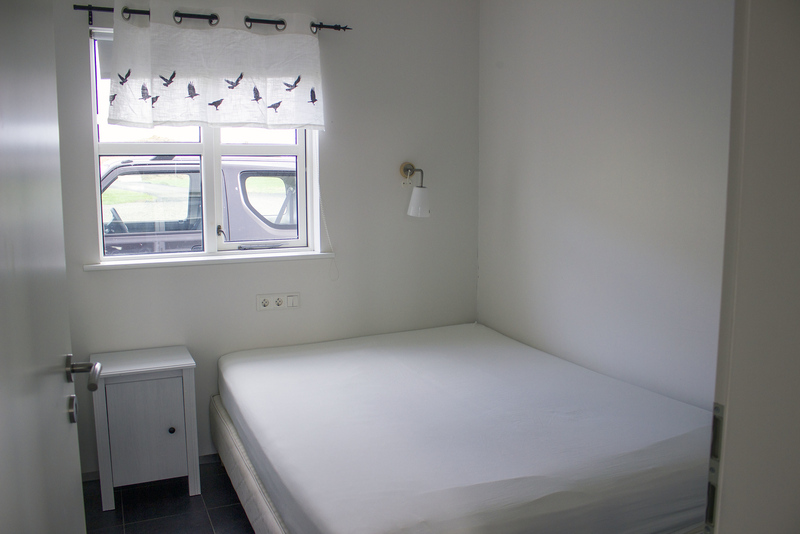 Cottage – There is one cottage with two double rooms and a sleeping loft. It has a bathroom, kitchen, living room, and a deck. Breakfast is not included, but it can be booked. 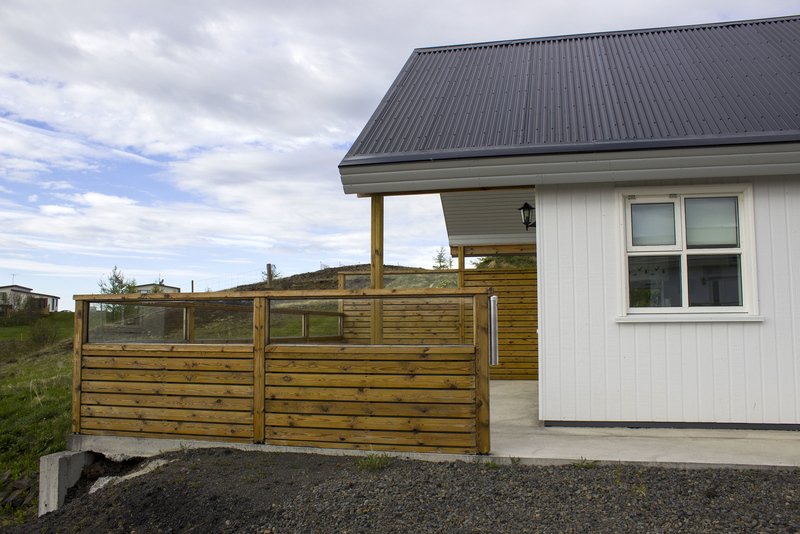 During our stay, we made the private cottage our home at Skustustadir Farm Guesthouse Myvatn Iceland. Have you ever visited Lake Myvatn? 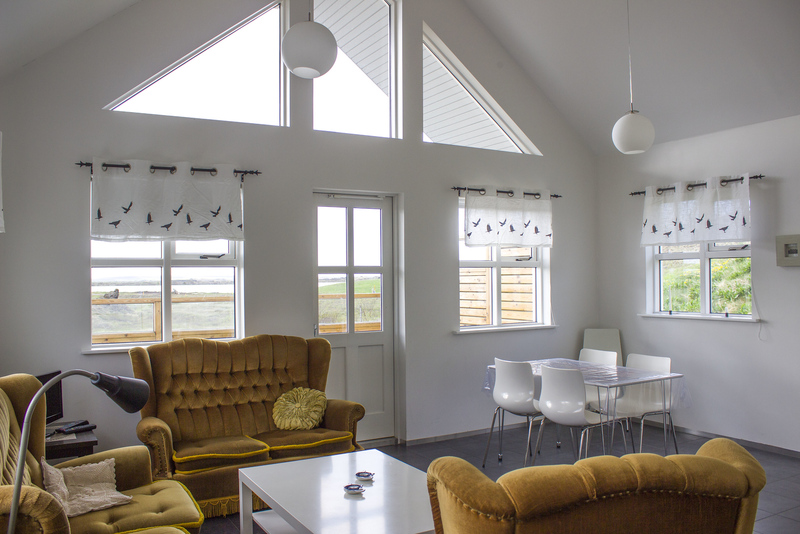 The cottage was bright and beautiful, with an open concept layout. There were a few couches and chairs in the living space where we relaxed, read books, and used the complimentary Wi-Fi on our phones. Cooking food in this kitchen was a breeze. There was a spacious kitchen, which included a full-sized refrigerator, stove, oven, sink, cutlery, plates, and all kinds of cookware. We really could have cooked or baked any meal of our choosing. This kitchen was valuable as we cooked most of our meals ourselves throughout our trip to Iceland. There was ample sleeping space for six at this private cottage. 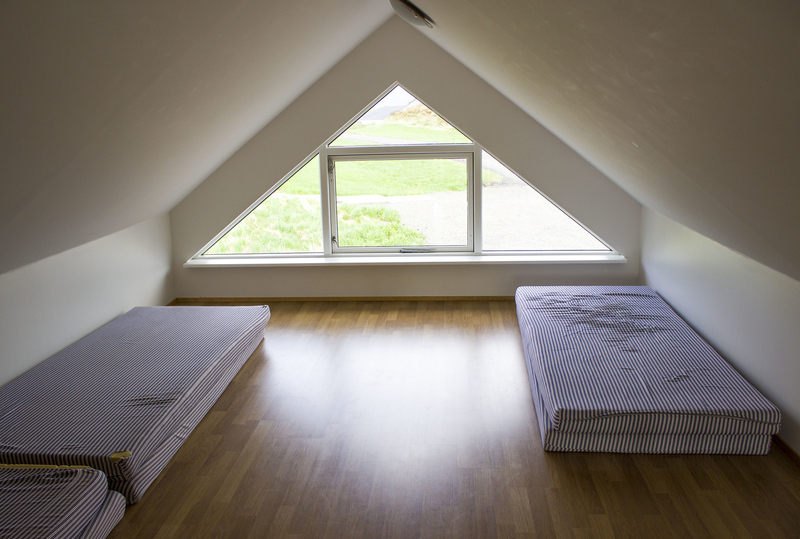 We slept in one bedroom, there was a second bedroom that slept two, and there was an upstairs loft that could also sleep two. This cottage is perfect for families or multiple couples traveling together. From the loft, we had a great view looking directly down on the living room and kitchen. The accommodation had a very open, airy feel to it. 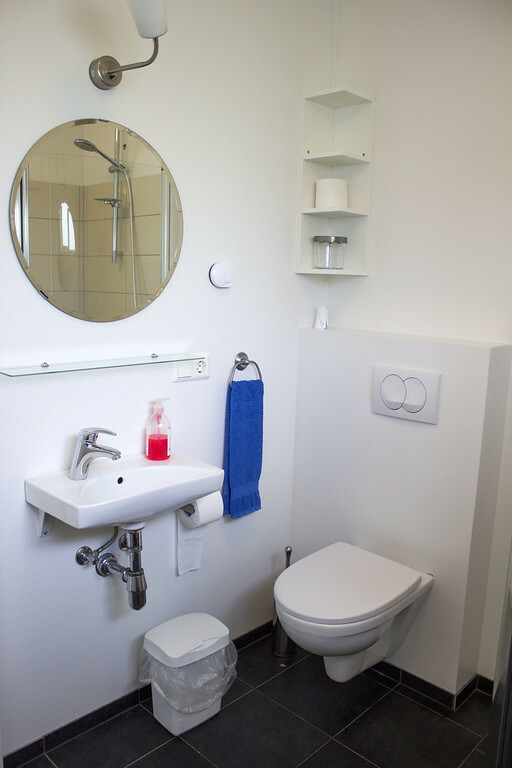 The bathroom had a shower, a sink and mirror, and a small table for storing your toiletries. 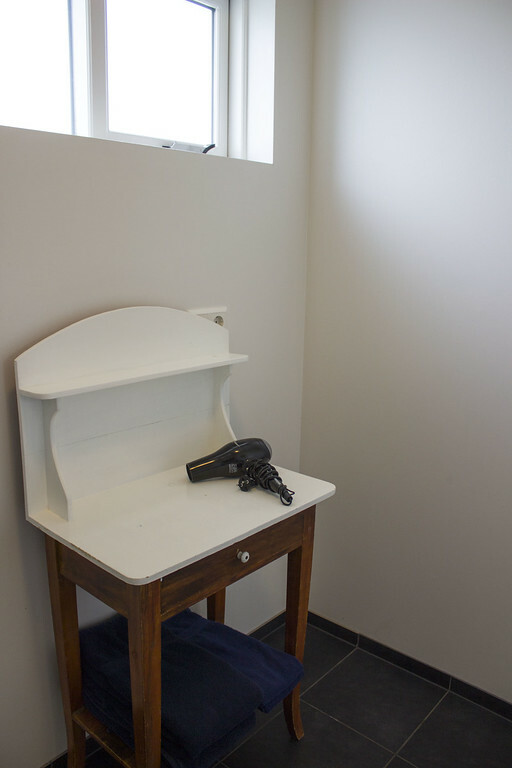 There was also a hair dryer available for use. Everything looked brand new – bright, clean, and white. There was a private deck with a picnic table attached to the cottage. You could dine outdoors with a beautiful view. Be warned – there were quite a few midge flies around Lake Myvatn. This is very common in the entire region surrounding the lake and beyond. You can’t really escape them. They were quite prevalent during our stay in June. 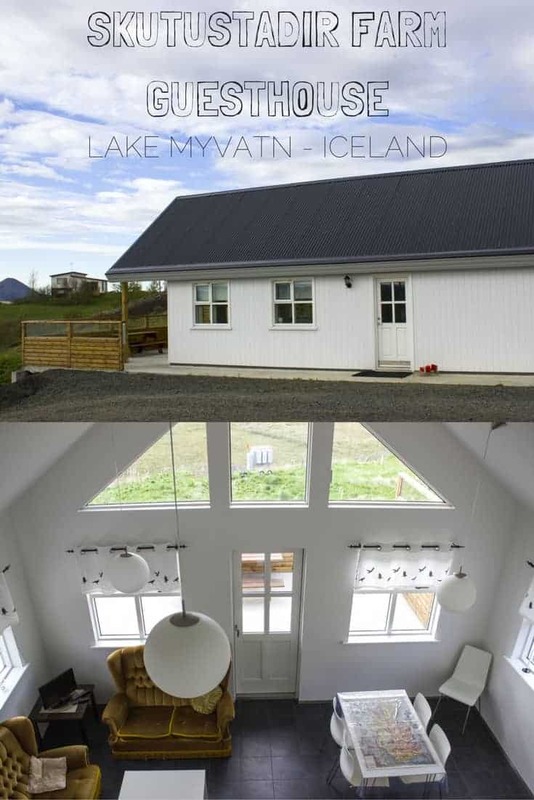 After all, Lake Myvatn is named after those little bugs! Of course, don’t let this deter you from visiting the area or staying here (after all, the flies will be at every accommodation). We enjoyed admiring the view from inside while we ate our meals. Skutustadir Farm Guesthouse was at the southern end of Lake Myvatn, about a 15-minute detour off the Ring Road. We drove by a few sites on our way to the farmhouse, including Dimmuborgir and Grjotagja (the cave where scenes from Game of Thrones was shot). These are a few places that we wanted to visit on our journey, and they were right near our cottage. It was also a short drive to several popular sites: Myvatn Nature Baths, the Namafjall geothermal area, Selfoss, Dettifoss, and Krafla. 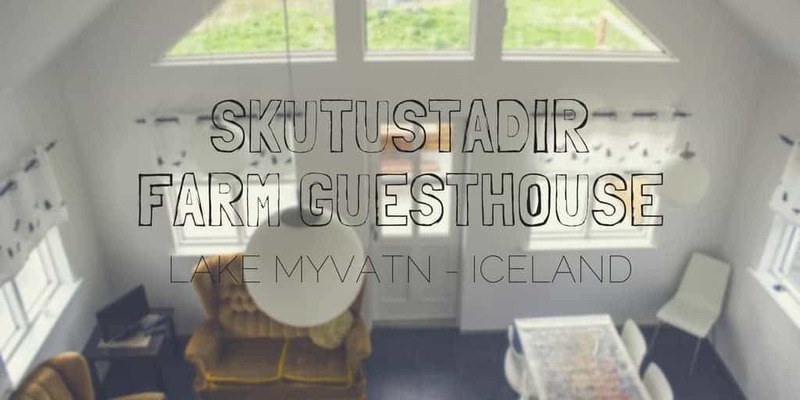 We happily used Skutustadir Farm Guesthouse Myvatn Iceland as our home base for two days. 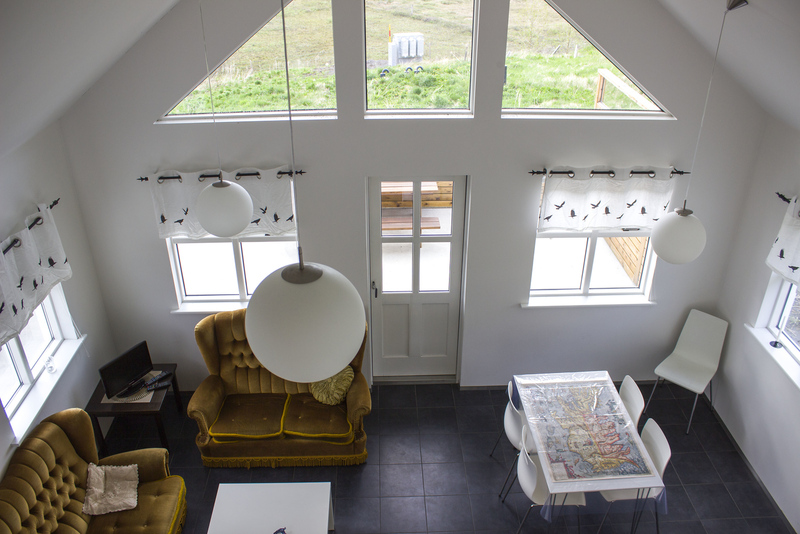 We loved our time at Skutustadir Farm Guesthouse Myvatn Iceland. It truly felt like home. 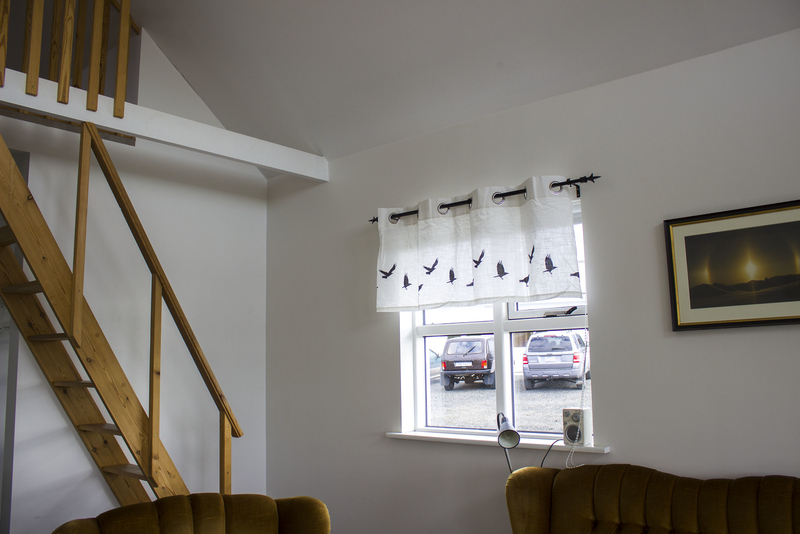 The cottage was spacious and it was in the ideal location. We highly recommend that you book a stay here as you travel the Ring Road. The staff were warm and welcoming, and it was fantastic to cook all of our own meals in our own private house. The property was calming and peaceful with gorgeous scenery all around. 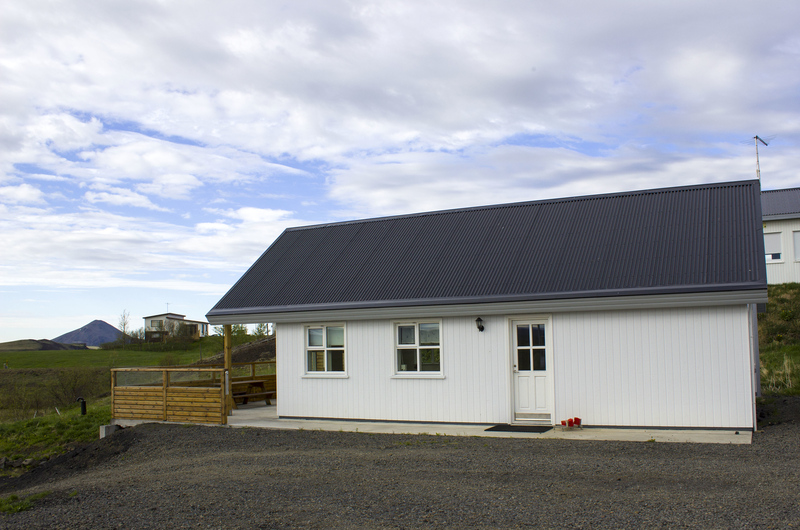 Book your stay at Skutustadir Farm Guesthouse – whether you stay at the cottage or the other buildings, you’re sure to have a wonderful time. 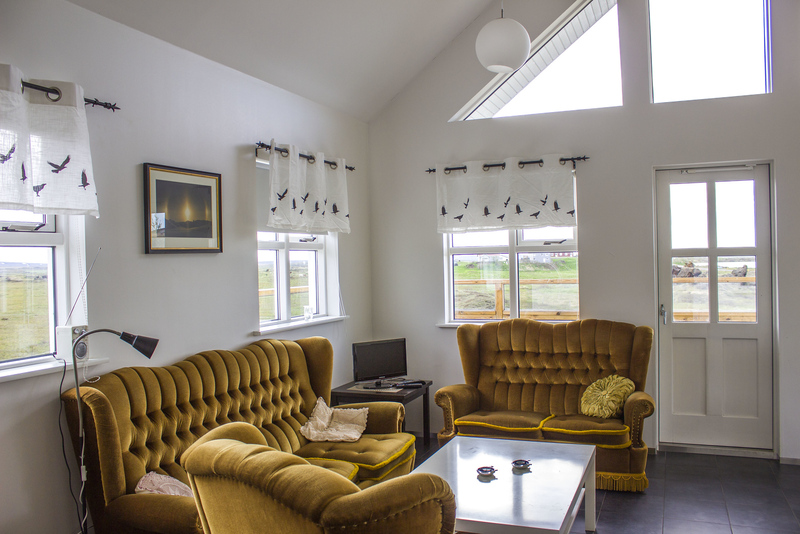 Thank you so much to Skutustadir Farm Guesthouse for sponsoring a portion of our stay. Our opinions, as always, are entirely our own.